Unreleased 1981 Live Gem From Ritchie Blackmore’s Rainbow Will Finally See The Light Of Day! Los Angeles, CA - The pot of gold just keeps getting bigger and bigger! 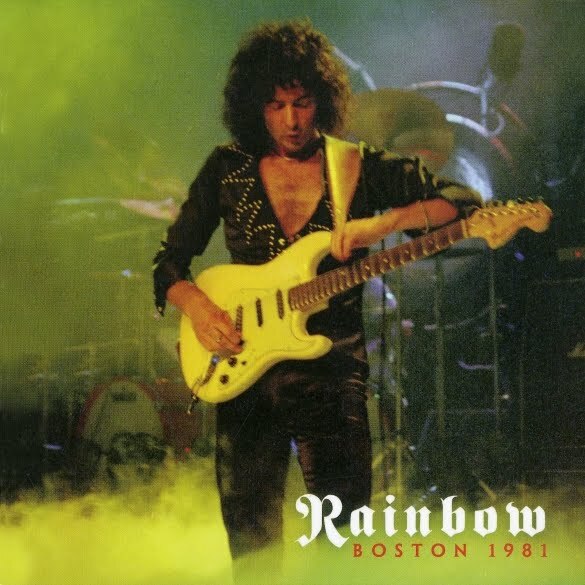 Following the release last year of a deluxe box set containing 3 CDs of incredible live performances from 1979, Purple Pyramid Records is proud to announce another superb concert release by guitar god Ritchie Blackmore & Rainbow. Taking its name from the city and year in which it was recorded, features crystal clear audio that captures the vibrant energy and emotion pouring through the band as they offer up scorching versions of “Man On The Silver Mountain,” “Long Live Rock N’ Roll” and even the epic “Smoke On The Water,” a nod to Blackmore’s tenure with another legendary band of a certain Purplish hue. Packaged in a mini-LP wallet for the CD and a gorgeous gatefold double LP set featuring a stitched-in 20-page booklet and 3 different colored vinyl options (red, blue, and green), this exciting release will be available everywhere starting May 13!